In 2008, José Luis ‘Tata’ Brown was with the Argentina under-23 squad at Washington Airport in the United States awaiting a connecting flight to take them to the Beijing Olympics. It was a group of players that contained such luminaries as Messi, Mascherano and Gago. 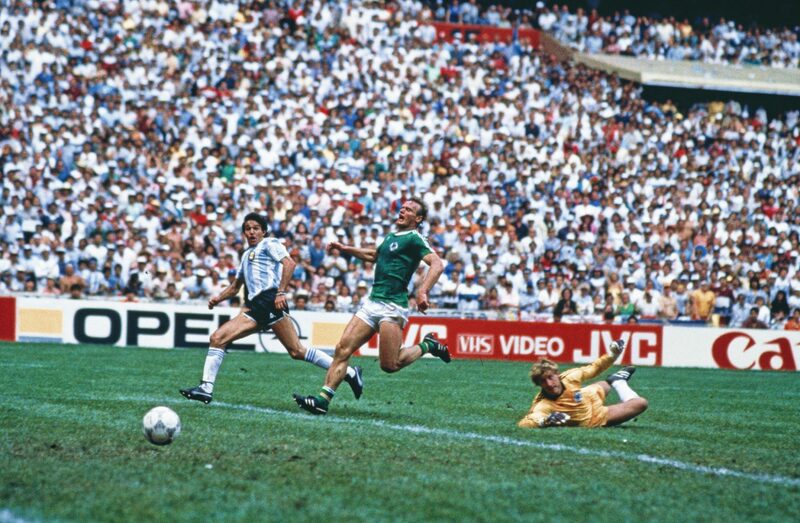 Twenty-two years after the rugged defender had headed in the opening goal in the 1986 World Cup final, the afterglow of the event was still shining bright enough to cast a shadow intense enough to place a group of some of the brightest stars in football into the shade. The moment of fame that lifted Brown into the pantheon of South American footballing heroes, however, had required a series of circumstances to fall into place, otherwise that airport worker may merely have been seeking an introduction to a young Lionel Messi. It’s a story that has its beginnings when a Scotsman and his family decided to chance their arm by starting a new life in Argentina. In 1825, long before the game of football had even been codified, James Brown and his family travelled to South America in search of adventure and prosperity. The passage from Leith to Buenos Aries was no pleasure cruise, the arduous crossing taking around 100 days. It would transpire to be a pivotal journey, and although Brown found success in his new farming venture in Argentina, the legacy he bequeathed to his new homeland would be much more apparent on the football field. Fifty years or so after Brown left Scotland, his steps were retraced by another Scot, Alexander Watson Hutton. Hutton was a teacher from Glasgow, and travelled south to seek out a climate less troublesome in his recovery from tuberculosis. In the intervening period between those two Atlantic crossings, football had begun to tighten its grip on the consciousness of sport-loving men across Britain. Hutton was no exception. Utilising the sharp passing and link-up play he had brought from Scotland, later pioneered in Argentina, Hutton’s team of ex-pupils, known as Alumni, would come to dominate the game in his adopted country securing ten league titles in just a dozen seasons. Nothing succeeds like success, as the old saying goes, and other teams were quick to copy the new style, creating a pattern of play that became the lingua franca of the game’s conversation. Although most of his players were of long-established Argentine descent, there were a number who had a name more familiar to his homeland. The kith and kin of James Brown were already making a mark in Argentine football and half-a-dozen carrying the Brown name and genes would go on to represent Argentina internationally in the early years of the 20th century. As well as breathing new life into Argentine football, Hutton’s move to South America also aided his recovery from illness and, despite him Alumni club disbanding in 1911, he would survive to hear news of the national team reaching the inaugural World Cup final in 1930, although they were to lose to neighbouring Uruguay 4-2. He would pass away three years later. By this time, though, the line of Browns coming through to wear Argentina’s national colours had dried up as the game spread and native South Americans became involved. There was no Brown on the team sheet for the game in Montevideo on 30 July 1930. Fifty-six years later, though, and a shade over 140 years after James Brown had first set foot on Argentine soil, another of his descendants would rectify that omission. Tata Brown – the nickname roughly translates as ‘father figure’ – was born in Ranchos, Argentina on 10 November 1956 and may have had little cause to ponder on the origins of his surname, or indeed on his antecedents’ influence on the early development of football in his country. He would begin his footballing career with Estudiantes, where he would spend half of his 16 years in the professional game. Although only scoring 25 goals from his defensive position in almost 300 league games for the club, he would strike a rich vein of goals towards the end of his time there when his 17 strikes in just 69 matches contributed to the club securing the Metropolitano title in 1982 and the Primera División the following year. It prompted an offer from Colombia’s Atlético Nacional. 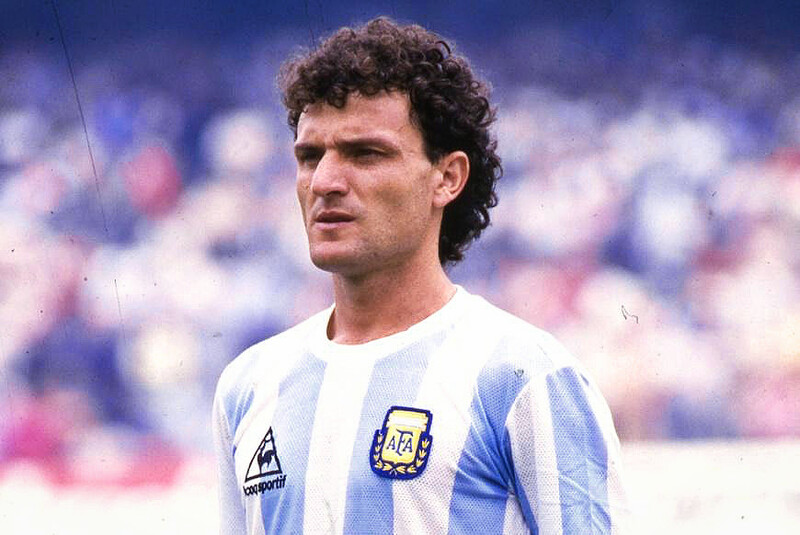 Brown would join the club and play in Medellín until the end of 1984, before returning to his homeland the following year for a brief spell with Boca Juniors and then to Deportivo Español. The end of the 1985/86 season would be one of turmoil turning into triumph for Brown. A chronic knee injury persuaded Deportivo to release him, and with the 1986 World Cup imminent, Brown found himself without a club, imperilling any hopes of potential selection for the squad travelling to Mexico. Perceived to be hampered by injury and discarded by your club is hardly the best preparation for the biggest competition on the global football calendar. Carlos Bilardo, the Argentina manager, was a fan of Brown, though, and as the player himself remarked, “had known me since I was 18, so he knew what I was capable of.” Indeed, under Bilardo, Brown had played a number of times for La Albiceleste, and despite the knee problem being “serious” in his own words, he was included in the squad, albeit only as cover for the imperious Daniel Passarella. The Argentina squad had hardly left for Mexico buoyed by a flood of expectation. 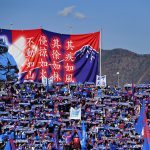 A series of poor results, together with internal tension among the players, with the inevitable cliques and disagreements developing, did little to encourage hope. Brown would relate how “a number of Argentine journalists had bought return plane tickets and only rented rooms for the first round.” One of those tickets would have been useful for Passarella, whose fate would hardly have encouraged any increase in optimism. If Bilardo had taken Brown along thinking he could slide him into the team for a dead rubber to give Passarella a rest, or something similar that may not prove too strenuous a test on the knee injury, that plan was out of the window before Argentina had kicked their first ball in the tournament. Passarella would be diagnosed with a severe bout of enterocolitis and would take no part in the World Cup. 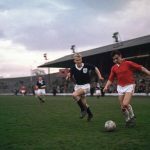 Brown, a player selected as a mere back up, a player without a club, a player with a serious longstanding knee problem requiring regular medical attention, was now front and centre to be at the heart of the defence. Also going to the tournament was a man Brown would have so much to be grateful to. Professor Ricardo Echeverría was one of Bilardo’s support staff and, as the team physio, his ministrations to the injured joint would play a particularly important part in ensuring that Brown was fit to play when the call came. There wouldn’t be long to wait. On 2 June, the player lined-up with the rest of the team for the anthems ahead of the opening group stage encounter with South Korea. Brown readily confesses that at the time, his “legs were shaking.” The trembles had little to do with any problem with his knee, though; the enormity of his elevation and sense of occasion was taking hold. Despite conceding a late Korean goal, Argentina comfortably defeated their Asian opponents 3-1 and moved on to face the group favourites Italy three days later. Conceding an early penalty, Argentina fell behind, but Diego Maradona squared things up and the draw meant that everything hinged on the final encounter against Bulgaria. Goals from Jorge Valdano and Jorge Burruchaga were enough for victory, and with Italy only having drawn with the Bulgarians in their opening game, Argentina topped the group. 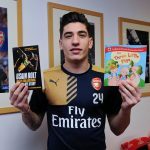 Brown, and his troublesome knee, had now played every minute of the three group games across a truncated eight-day period with sessions under the care of Echeverría in between to keep things in working order. On 16 June, in Puebla, Argentina faced Uruguay in the first knockout round, a 1-0 victory sufficient for progress. It took Brown and his teammates into the most controversial match of the tournament. 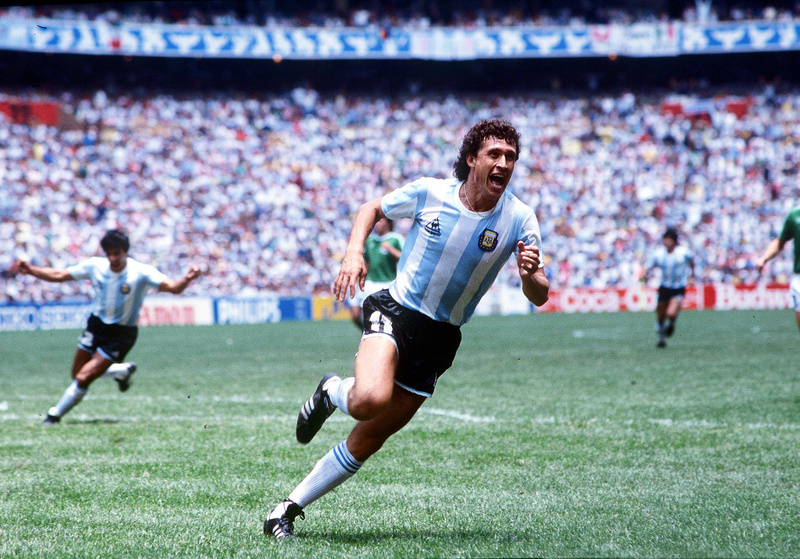 Whilst the other three quarter-finals all went to penalty shootouts, two goals from Maradona – the first as deviously punched into the net as the second was deliciously conceived and completed – put Argentina into the final four. 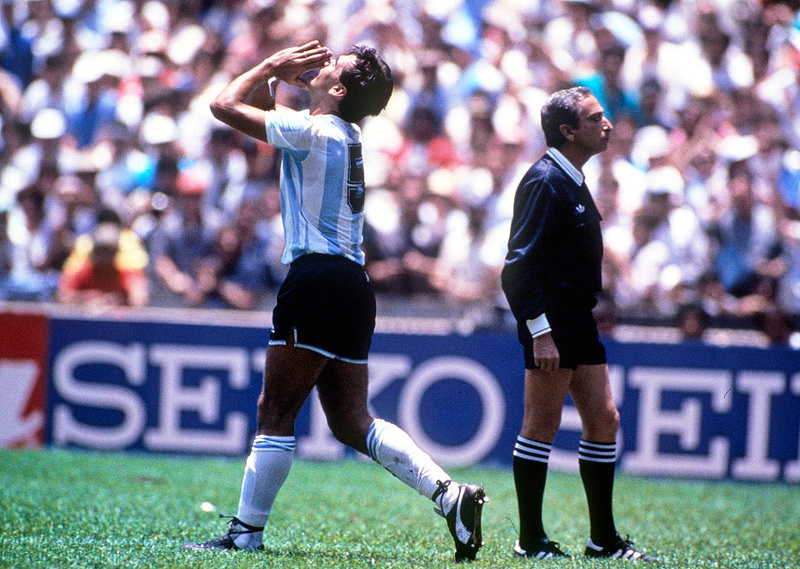 Another Maradona brace this time, with an absence of mendacious intent but brimming full of imperious majesty, disposed of Belgium and, despite the trepidation and doubts voiced about the team’s chances ahead of the tournament, Argentina would play in the World Cup final against West Germany. Tata Brown, the player only brought along as cover for Passarella, had played every minute of every game. The final would be contested on 29 June in front of a reported 114,000 crowd. It would be Brown’s seventh game just 27 days. The testament to the skills of Professor Echeverría are clear enough, but equal measure should be given to the fortitude and application of Brown. Such resilience would be tested to the extreme as the tournament reached its raging conclusion. For us mere mortals, not having experienced the pressures of preparing for such a massive event, it’s probably unfair to say we could appreciate the feelings swirling around Brown’s mind in that scenario. Throw in the fact of the loss of his club affiliation, the injury, the surprise inclusion in the squad, and then the elevation to playing every minute of every game, and whatever the pressures would be apparent for any player, they would surely have been ratcheted up a notch or two for Tata Brown on that restless night. The event, the emotion, the carnival of noise and colour in the Azteca on the day of the final must have been breathtaking. Even watching on television, it was a frenzied assault on the senses. For Brown and his fellow defenders, performing with composure and application must have been at the forefront of their minds. 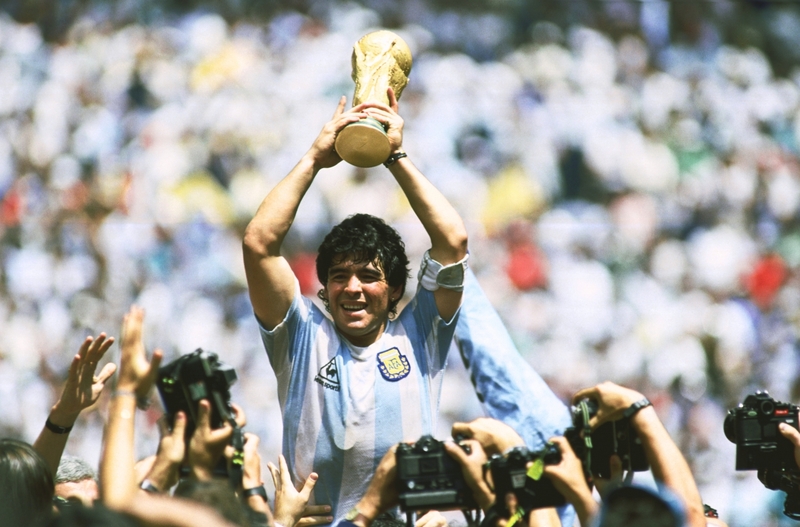 With Maradona in his pomp, goals would surely come at the other end. Their job was to ensure the back door was locked, bolted and barred. For Brown, though, the halfway point of the first 45 minutes marked a moment that would change his life forever – as well as firing a Washington Airport worker’s enthusiasm for a souvenir picture 22 years later. In 36 appearances for Argentina, it would be the only goal that Brown would score. It takes little imagination to believe, however, that he would not trade in that single, simple headed goal into an empty net for a hundred strikes of the mesmeric type that Maradona had bamboozled England with a few days earlier. “You have no idea how proud I feel of having scored a goal for my country in a World Cup final.” Brown would later assert with a sincerity totally lacking hubris. It’s the very epitome of an understatement. He joyously ran from the penalty area before sinking to his knees and offering up his arms to the heavens in an unrestrained ecstasy of gratitude that is at least a partial illustration moment. Argentina would double their lead and seemed on the way to victory until a late German rally threw the game into a mass of confusion, two late goals to squaring the score inside the last ten minutes. But a final goal from Burrachaga restored the South Americans’ advantage. It was a battlefield mentality, one that Bilardo felt he had little alternative than to honour. 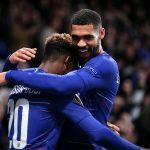 “We were ahead and we had confidence in him … and I had no one to replace him.” Brown played out the rest of the game by hooking his thumb into a hole cut into his shirt in, a surely forlorn attempt to prevent further movement of the shoulder and thereby at least limit the pain. For the remainder of the half, he would battle on in increasing amounts of agony. The player who had defied chronic injury to step forward and bolt his country’s defence would not bend the knee to such trivial matters. He would play on to the end of the game. He would play on until Argentina were world champions. After the World Cup, Brown would move to France and join Brest for a season, before journeying south for a term with Murcia in Spain. His final club would be Racing, back in his homeland, before retiring from the game at 33. Football is replete with tales of heroism and players stepping onto the centre of a stage that they had never been scripted to be on. Such stories may have elements of sorrow and joy, of unexpected triumphs gained from unlikely circumstances, of pain and glory; very few encompass all of those things and a couple more on top. That is the story of José Luis Brown. It’s questionable whether that airport worker back in 2008 knew the full extent of the story that took the defender to World Cup glory and acclaim. Had he done so, it would’ve surely added to the importance of ensuring that he had the choicest of additions for his photograph album.